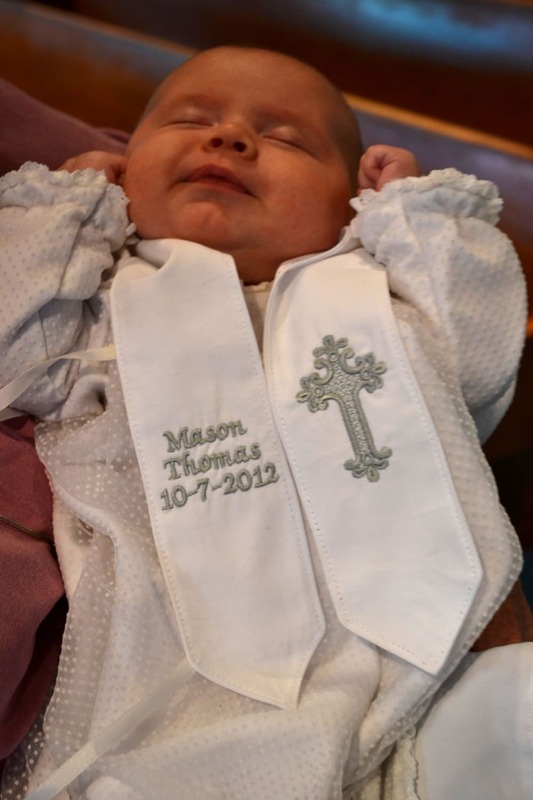 This darling heirloom-quality stole makes a perfect accessory for your child's most blessed day and will be treasured as a keepsake for generations to come. 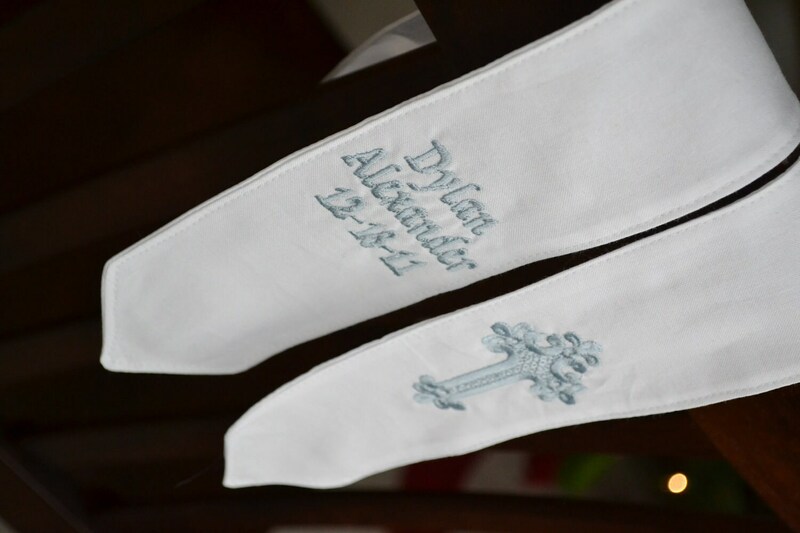 The handmade stole is made of crisp white cotton and backed with beautiful white satin. 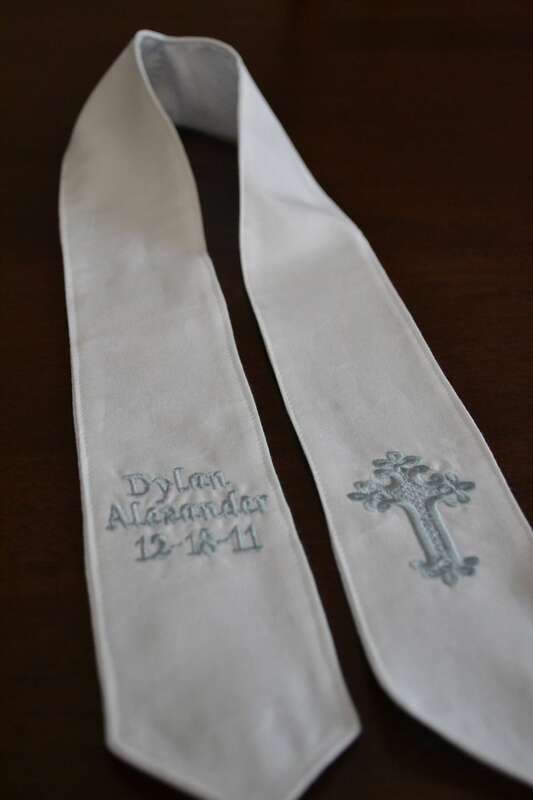 Price includes custom embroidery of child’s name and date of baptism on one side and beautiful decorative cross on the other. 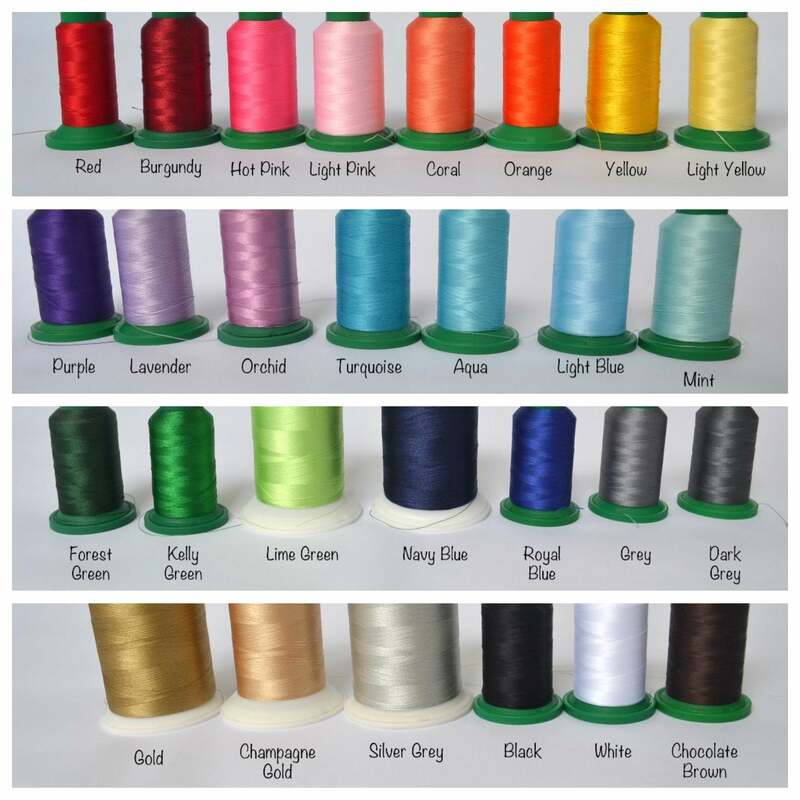 Embroidery Color: Select from the color choices listed or suggest a color of your choice in Note to Seller. NOTE: Font will vary slightly from the one shown in photo. PERSONALIZATION DETAILS - IMPORTANT: Copy, paste, and complete the following list into the Note to Seller at checkout. 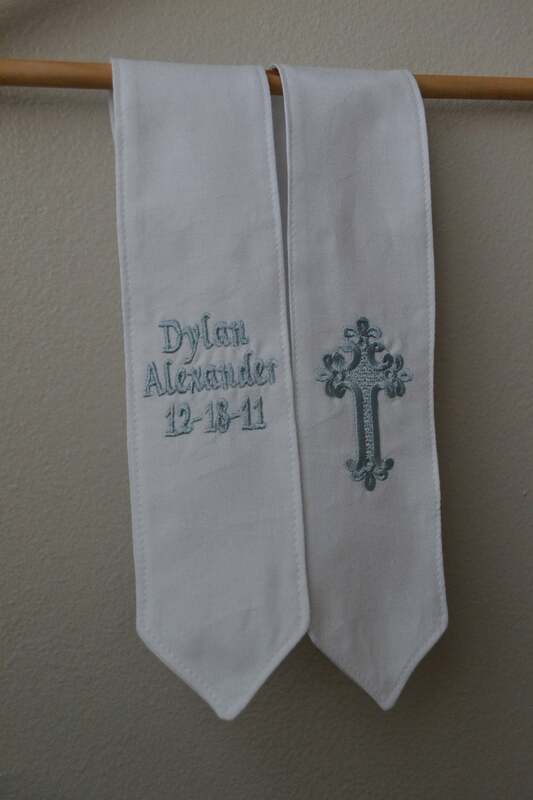 ALSO AVAILABLE IN ECRU/CREAM fabric, just add a Note to Seller. Very nice and shipped quickly. Highly recommend. 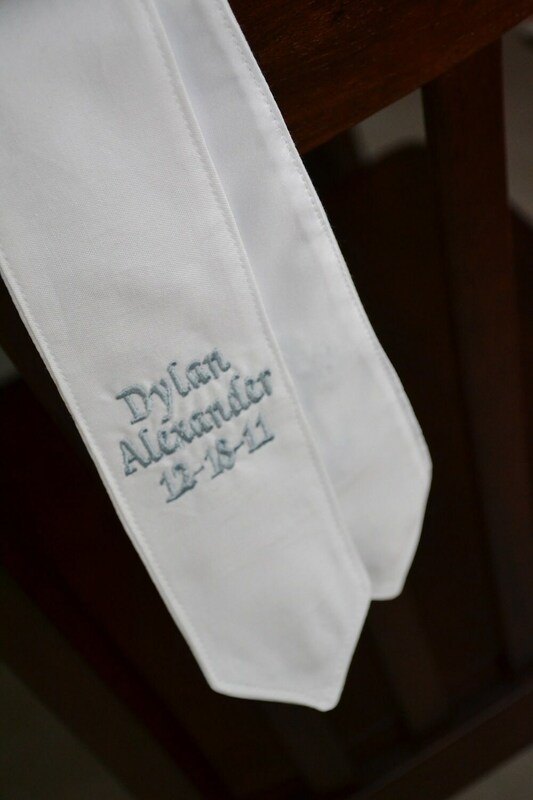 This is the second stole we’ve purchased and ate so pleased with! Good quality, beautiful artwork and great customer service! Highly recommend!